Book our Dancing in the clouds service for your Sussex wedding now! Our Sussex wedding DJ can make your wedding truly magical! 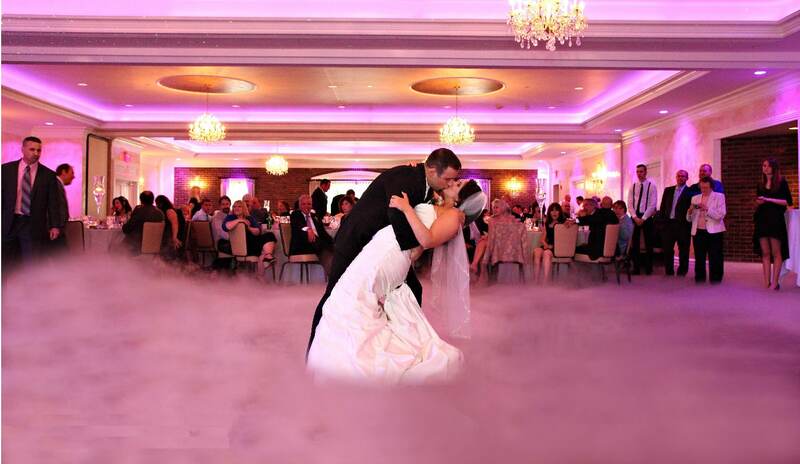 Something your guests won’t stop talking about, with our dancing in the clouds service, giving that fairy tale setting as you have your very special first dance as a Mr & Mrs . Look at our stunning images in the slide show at the top of this page, you will see how the dry ice cloud hugs the floor allowing you to dance in the clouds. For our DJ to provide a pure white fluffy cloud for you to dance in, we use Dry Ice in the world renown Le maitre Pea Souper dry ice machine. The dry ice pellets that we use are made from food grade CO2 liquid which is non-toxic and residue free. 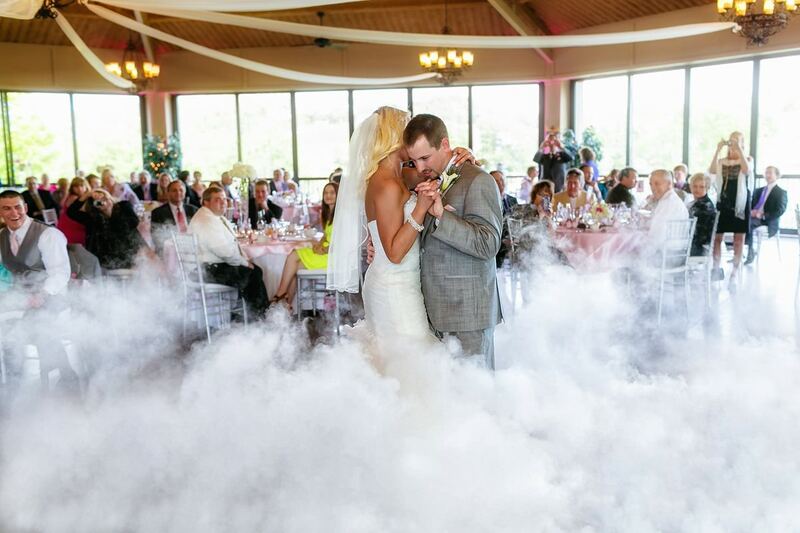 It will take around 12kg of dry ice to provide this dancing in the clouds effect for the wedding first dance. Dry ice does not just for have to be for the first dance, our Sussex wedding DJ can also use it at other times during your wedding day like walking up the aisle, It will look truly magical in the photos & video that you will look at many times and cherish for a lifetime. The clouds stay low on the ground and do not rise much above your knee. Dancing on the clouds uses dry ice and dissipate in a matter of seconds. Currently up to date, our wedding DJ’s have not set of any fire alarms, there are some venues in East Sussex, West Sussex, Surrey and London that will not allow this beautiful effect as they do not understand and think its a smoke machine! it definitely is not a smoke machine! but before you go booking this with us it is probably best to confirm this will be ok with your chosen wedding venue. The pictures speak for themselves! you cannot argue that dancing in the clouds is a truely magical and beautiful effect, you should definitely be considering this as a must have for your Sussex wedding. HD-DJ can only provide our dancing in the clouds service in addition to one of our wedding DJ packages. We provide our wedding DJ with the dancing in the clouds service in East Sussex, West Sussex, Surrey & London.